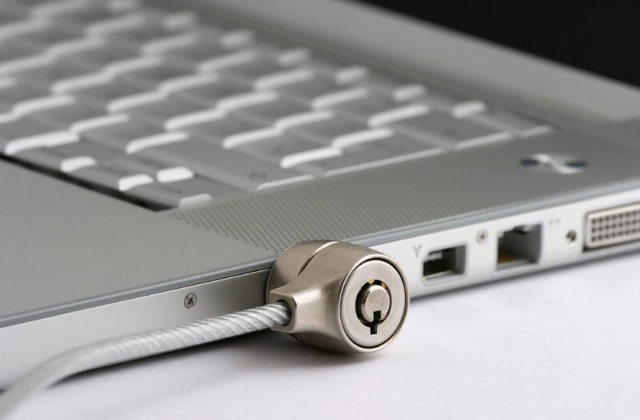 A built-in fingerprint reader allows using the laptop without the fear of losing valuable data. Additionally, this security method is far more reliable than a regular login with a password. What is more, you can also use this feature to block the BIOS for an additional layer of security. If you are looking for a high-performing model for work we suggest opting for this one. A powerful Intel Core i7, which is paired with a powerful, discrete GeForce MX150 GPU makes this laptop a great solution not only for office use but also for photo and video editing. 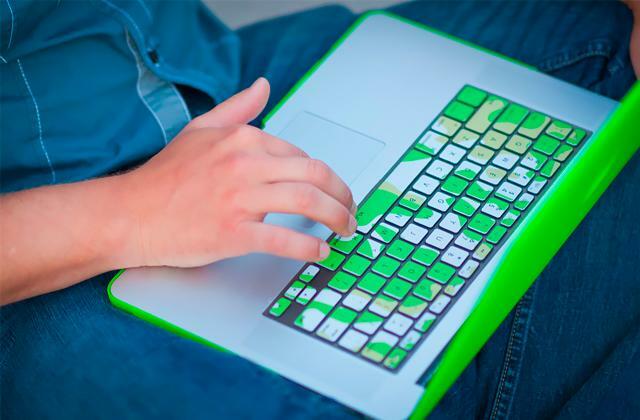 A backlit keyboard makes this model easy to use regardless of time of day. On top of that, the stereo speakers feature the special MaxxAudio technology that creates true surround sound without the need for connecting additional speakers. The output video quality of the web camera is mediocre at best. 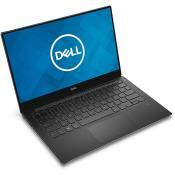 This powerful Dell business notebook features a 15.6" display with a touchscreen feature, which makes it great for surfing the web, creating presentations, and watching and processing media. Likewise, a built-in GPU makes it a nice laptop for games that don't require powerful hardware. 14.96" x 10.15" x 0.89"
Thanks to the expanded battery, the autonomous work time of this laptop can reach up to 9 hours. Alternatively, while in active use, the battery can endure up to 7.5 hours without breaking a sweat. Quite bulky for a business model. This model will be the perfect pick for users that work on multiple tasks at the same time. The combination of an Intel Core i3 and 12 GB of DDR4 RAM will ensure that the laptop won't freeze even under extreme loads. 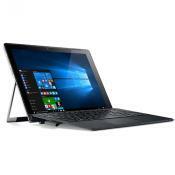 15" x 10.6" x 0.98"
On top of the Windows 10 OS, this laptop is equipped with a set of software applications that make the life of entrepreneurs a breeze. With Lenovo App Explorer, Lenovo Companion and Lenovo ID at your disposal you will be able to complete tasks more efficiently. The battery life leaves something to be desired. 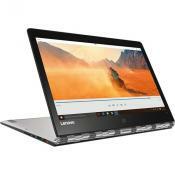 This model for business from Lenovo embodies everything a good laptop thrives to be. The 180° opening angle of the screen allows for adjusting the viewing angle according to your liking. Light and powerful, the IdeaPad is a great solution for all entrepreneurs out there. 14.9" x 10.2" x 0.9"
The built-in TrueVision™ HD camera is equipped with high-quality lenses, which in combination with a sensitive microphone make this model ideal for video chats, meetings, and conferences. The decision to use a single 128 GB SSD is questionable. 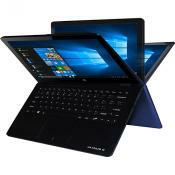 Despite its modest price, this model is the perfect business laptop for small enterprises and home businesses. 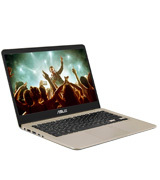 The lightweight and relatively powerful hardware make it an all-around good system for both home and office use..
12.76" x 8.89" x 0.78"
The ASUS VivoBook S410UN is one of the top business notebook models out there, thanks to the great capabilities of the hardware, stunning display resolution and fidelity. But what makes it such a versatile model after all? 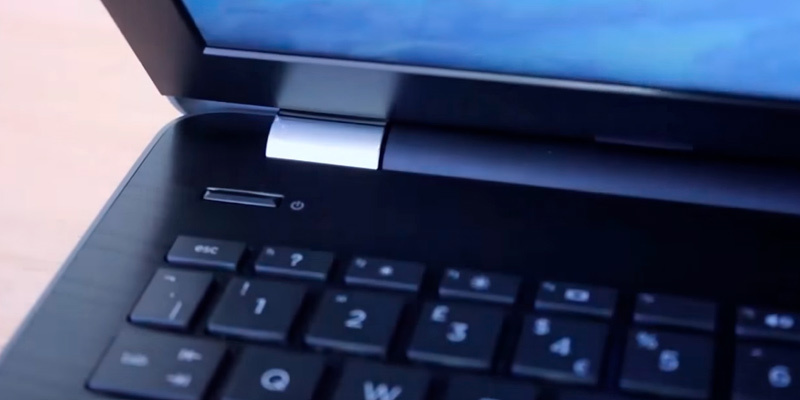 Let’s take a closer look at the core features of VivoBook and find out. 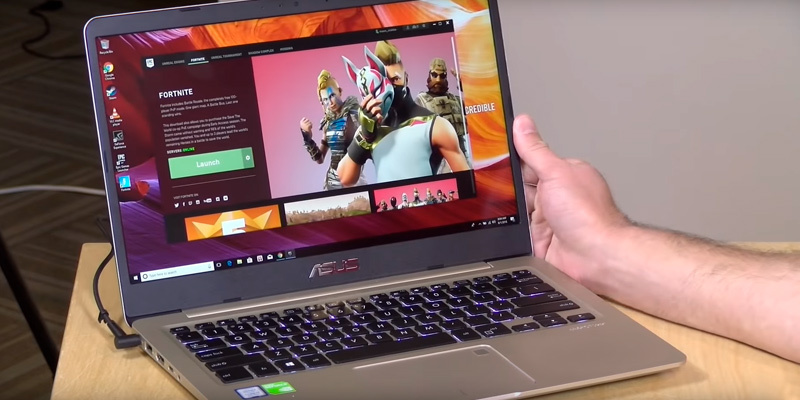 First things first, unlike many other similar models, this laptop from ASUS features a dedicated graphics card, which is quite unusual for a device that is meant to be portable. What is more, the built-in GeForce MX150 GPU from NVIDIA is by no means a gaming model and it is capable of delivering satisfactory fps even at ultra settings and full 1920x1080 resolution. The benchmark tests have shown that this 2 GB GPU is a solid performer and can produce up to 25-30 fps on average in most of the modern titles that are quite demanding in terms of hardware. 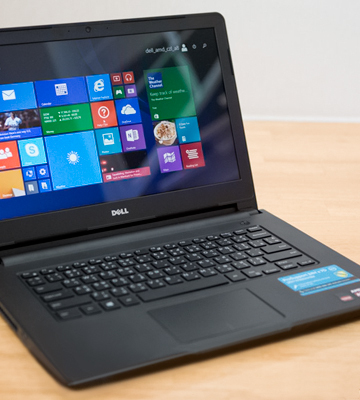 On top of the good build quality, the overall performance and speed of the laptop are also on par. 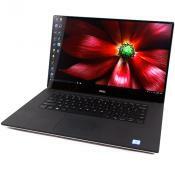 The notebook is equipped with an 8th generation Intel Core i7-8550U CPU and 8 GB of DDR4 RAM, which will be more than enough to deal with multiple tasks at the same time. Even though this laptop model doesn’t feature a capacious HDD, the 256 GB SSD will be more than enough for day-to-day use. Also worthy of note is that the data transfer rate of this SSD model is one of the fastest in the laptop class. The only real issue with this laptop model is its battery life, which is quite limited. If put in maximum performance mode, the laptop will work for around 7-8 hours. Despite this fact, the amazing light weight of only 3.2 lbs and the ultra-thin (0.7”) design means this minor flaw can be easily overlooked. The body of a laptop may feel a little bit flimsy; however, if used with care, this laptop will serve you well for years to come. 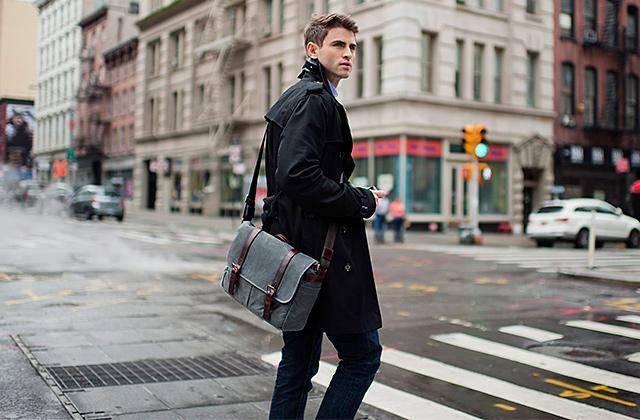 In order to preserve its original housing, we recommend purchasing a sturdy laptop bag to protect the notebook during transportation. 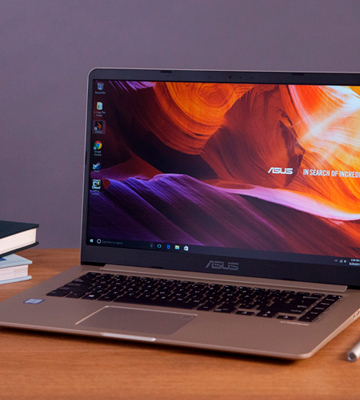 Although good notebook speakers are quite rare especially when it comes to business models, the ASUS VivoBook is capable of surprising you with crisp and detailed sound. Thus, in case you intend watching videos or receiving calls over Skype or other video chat software without headphones, you can do so without sacrificing the sound quality. To wrap things up, the ASUS VivoBook is a high performing business laptop that combines features of some premium class devices, while maintaining a relatively low weight that makes it a perfect choice for personal use during traveling. 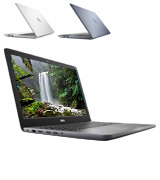 The Dell Inspiron 5000 has all the features it needs to be a great, portable laptop for business purposes. To start off, the gadget is equipped with 12 gigabytes of DDR4 RAM which is able to speed up to 2400 MHz without breaking a sweat. 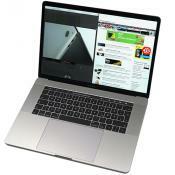 The laptop features a 1 TB hard drive that will be more than enough for storing large amounts of media and various data. 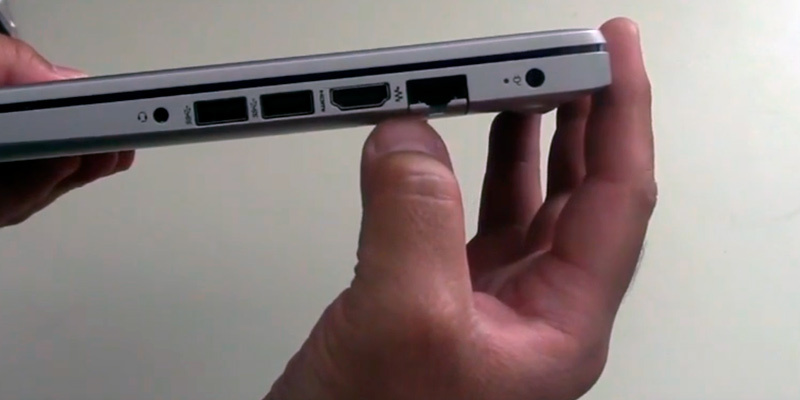 On top of that, the 2 USB 3.1 ports will make data transfer as fast as possible. 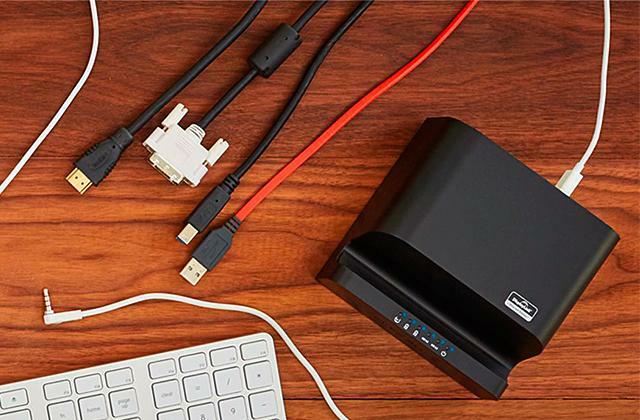 The USB 3.1 ports allows for sending and receiving files at speeds of up to 10 Gbps, which is twice as fast as the 3.0 ports. 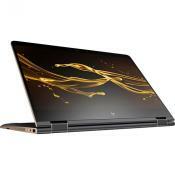 Although this notebook model does not feature a dedicated graphics card, the 12 GB of RAM we mentioned earlier are capable of delivering memory to the discrete video card. Moreover, 12 gigabytes will be more than enough to play games and run additional software in the background at the same time. The counter at ultra settings probably will not reach 35-40 frames per second, however, it will be more than enough for single player titles. 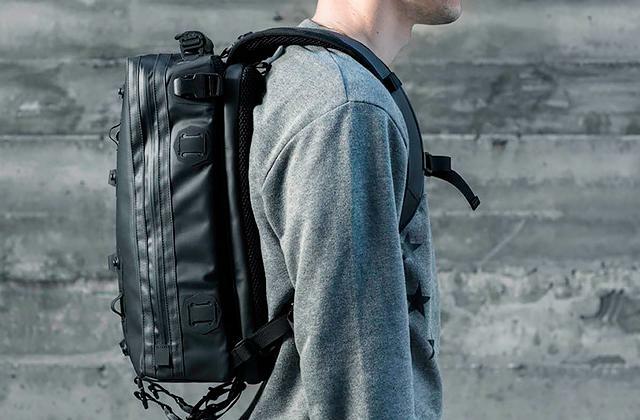 As for the dimensions of the laptop, it is well suited for transportation and can be easily carried in a regular notebook bag or a backpack that has a laptop compartment. Although some users may find this notebook model a bit heavy, the weight of 4.8 lbs still makes it a great pick for business travels or other enterprises abroad. With that in mind, you will be able to bring your clothes and a laptop without exceeding the passenger weight limit on the airplane, contrary to notebook models of older generations (of course, it depends on how much stuff you will bring with you onboard). The only real issue with this laptop model is that it tends to get hot when used for a couple of hours straight. 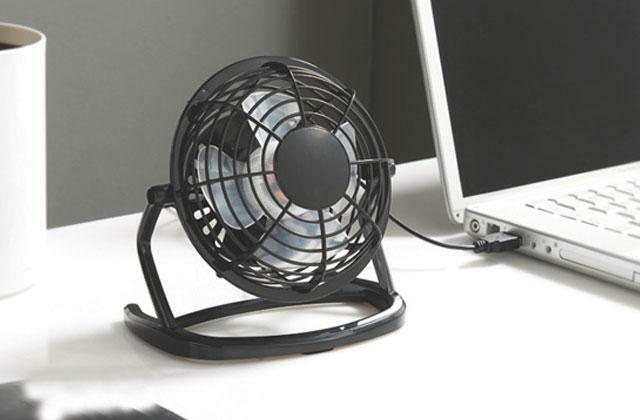 To prevent the device from overheating we recommend using it on surfaces that allow air access to the side fans of the laptop’s cooling system. 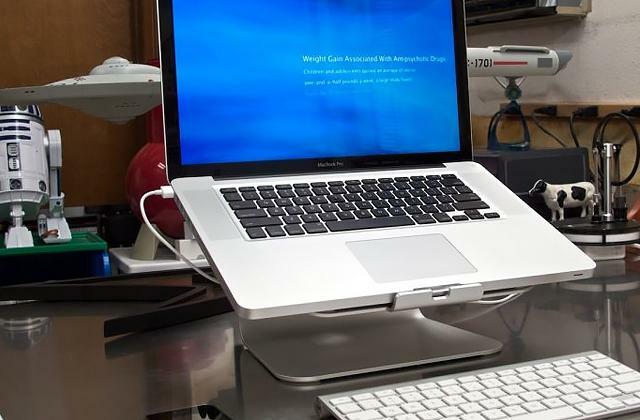 If that is not an option - a standard-sized laptop stand is a must in decreasing the heat output of the hardware. In order to make the working process on this laptop more comfortable at any time of the day or night, this model is equipped with a backlit keyboard. In addition to the great performance, the laptop comes with Microsoft's Windows 10 (64-bit) pre-installed so you won’t have to purchase it on your own. 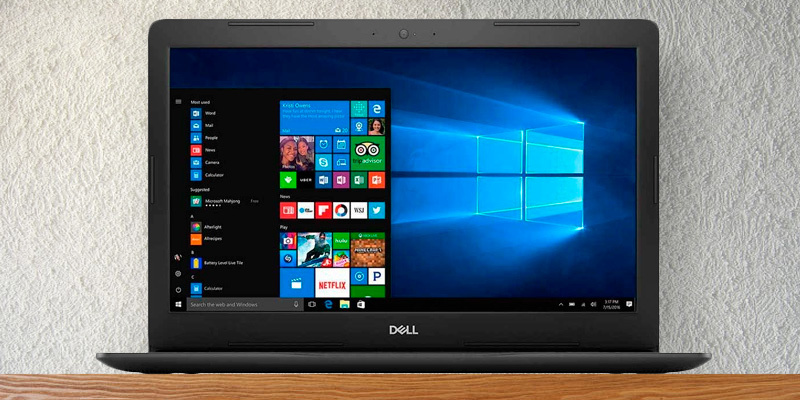 All things considered, the Dell Inspiron 5000 is definitely a great pick for entrepreneurs that value performance and reliability over gimmicky features. A great solution for multitasking, the HP business models can be a tad pricey. However, they always deliver when it comes to performance. 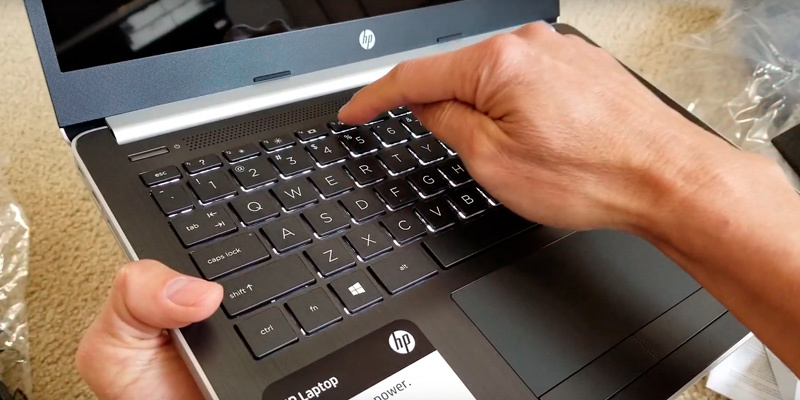 So, what makes this specific HP laptop so unusual, you may ask? There are quite a few features to cover, so that’s why we are here, to uncover everything that lies on and under the hood of this device. The first thing that catches the eye by looking at this model is its construction - a lush matte cover with a non-slip plastic pattern that won’t let the device slip out of your hands during use or transportation. On top of the cool-looking body lies a stylish, glossy HP logo that just screams premium build, which is a nice touch. With housing features out of the way, let’s take a quick glance at the specifications of the laptop. 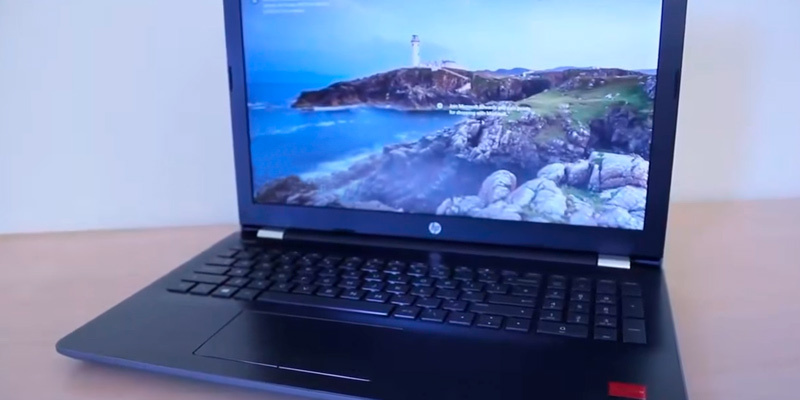 Unlike the majority of similar models, this business notebook from HP has a touchscreen that not only works properly but also maintains good feedback even after it’s been in use for quite some time. This is achieved thanks to the inclusion of the premium-grade sensor in the build as well as a top-notch WLED-backlit screen. Speaking of displays, the 15.6” screen of this model has a maximum resolution of 1366 x 768, which will be more than enough for watching media in HD or connecting the device to an external monitor. As we move deeper under the housing, we have an integrated Intel HD Graphics 620 chip here, which is by no means something special. Yet this small discrete chip is capable of delivering stable fps numbers in many modern game titles if paired with a decent processing unit and enough memory. 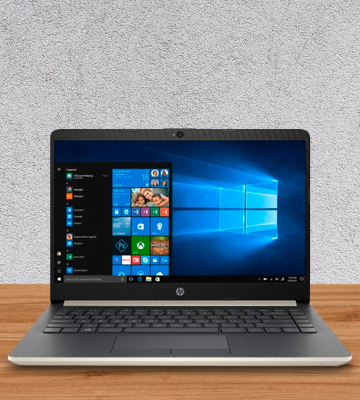 And this model actually has both, the processing unit of the HP business laptop consists of a 7th generation Intel Core i3-7100U Dual-Core CPU, which in combination with 12 GB of DDR4 RAM is capable of working on multiple tasks simultaneously. This will definitely come in handy if you need to process a lot of data or for opening tons of tabs in your browser at the same time. Although this model weighs almost 5.4 lbs, it has one of the best-in-class batteries. With that in mind, this laptop from HP is able to work without charging for up to 9 hours straight, which is 2-3 hours longer than competitors’ notebooks, on average. All in all, this business-grade notebook from HP is perhaps one of the best business laptops in its price range today. Robust, easy to use, and extremely enduring in terms of battery life - there’s not much more you could possibly ask for from this notebook. 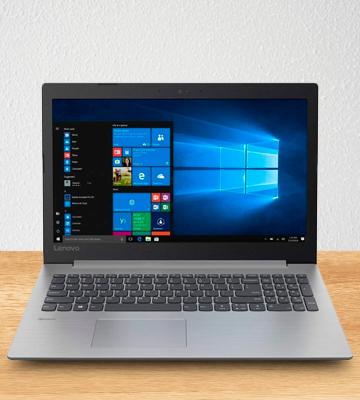 By being one of the most affordable business notebooks out there, the Lenovo IdeaPad 330 has a lot to offer if you opt for it. So, without further ado, let’s break down the main aspects that make it a good choice, especially if you need a good and powerful device without breaking the bank. 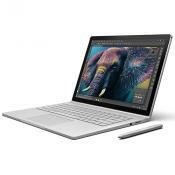 Right off the bat, this modestly priced laptop features an 8th generation Intel Core i3-8130U processor that is combined with an Intel UHD Graphics 620 discrete graphics chipset. With that much power onboard you will be able to complete all of your daily tasks much faster compared to other regular laptop models. Worth noting is that although the i3-8130U has a good base clock rate, if put in turbo mode it beats i5 CPUs out of the water with its mind-boggling 3.4 GHz clock speed with both of its cores. The internal storage consists of a 1 TB HDD that will suffice all your needs in terms of data storage. In case you need more storage options, the device supports the modification and addition of one more drive, whether it be another HDD or a faster SSD model. In addition to that, the laptop also features 8 GB of DDR4 RAM, which will deliver steady fps rates when paired with the UHD 620 GPU. As for a display, the 15.6” HD screen with a resolution of 1366 x 768 pixels will be a nice addition to an already great package. On top of the high fidelity, the display features a special energy-efficient LED backlighting system that conserves energy while the ECO mode is on. 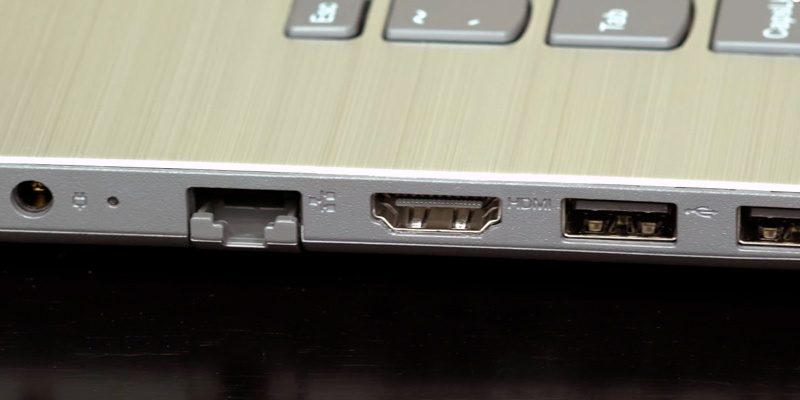 Moving on, the laptop features all the standard ports that you can find in modern models. 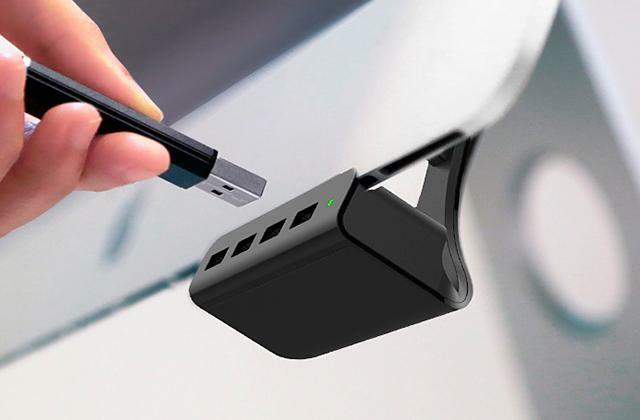 These include two USB 3.0 Type A ports plus one USB 3.0 Type C port designed specifically to power smaller mobile gadgets such as phones and tablets. 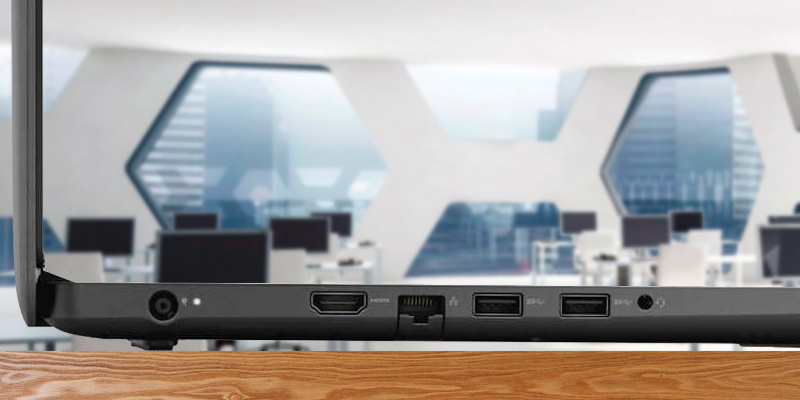 On top of the USB interfaces, the gadget also has one HDMI output for connecting the laptop to TVs or other displays. The only noticeable issue that comes up when the laptop is not connected to the power grid is its battery life, which is quite modest, to say the least. Without plugging in the charger when you are using the laptop at full power consumption mode (watching media or talking via video chat) the notebook can work for about 5.5 hours from a fully charged battery. Since it is a budget-friendly model, it will be more than suitable for basic and business-related tasks, especially for home business owners. 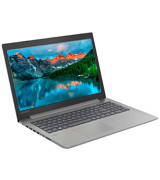 At the end of the day, we can safely say that the Lenovo IdeaPad 330 is the best business laptop in the low-to-medium price range out there, thanks to the enormous price to quality ratio and overall great quality of build. 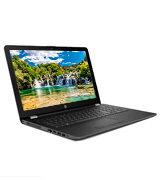 The HP Compaq laptop with its small price tag is capable of surprising you. Although there is not much to it when you first look at it’s 14” screen, the most interesting parts hide under the housing of the device. The main advantage of HP products is, of course, their speed. And this laptop model is not an exception to the rule. The Compaq 14-CF0014DX is capable of booting the operating system in a matter of seconds, which is crucial when you need to start your device quickly after you pull it out of your bag. This is achieved thanks to the powerful, dual-core CPU - a 7th generation Intel Core i3-7100U. The processor is also equipped with a decent, Intel HD Graphics 620 discrete GPU. The latter is by no means something out of the ordinary when it is operating on its own. Nevertheless, if paired with a large enough amount of RAM, it can do wonders (in terms of mobile graphics, of course). The wonders actually begin when you see what 8 GB of DDR4 RAM can do when they are combined with an HD 620. Even when you play the newest games, the fps never drops below 30-25 at high settings. What is more, the 8 GB of RAM allows you to play and run multiple software applications at the same time. But let’s put the games aside since it is actually a laptop designed for business purposes after all. Although the capacity of the built-in SSD is not the greatest one out there, you should keep in mind that this laptop is one of the fastest laptop models under $500. The data transfer rates of the 128 GB SSD can reach up to 500 Mbps, which is great for working with multiple applications at the same time and general multitasking. To add more, the solid flash memory nature of the SSD makes all your software applications and even the OS load up much faster compared to regular hard drives. In case the 128 GB SSD is not enough for you, there is an HP Compaq version optionally available that is equipped with a 256 GB SSD. In addition, the 256 GB version comes with Windows 10 Pro on board instead of the regular standard version, so you won’t have to upgrade your existing OS for at least a couple of years after purchase. All in all, the HP Compaq is a great solution for small business use if you are looking for a high performing model but are on a budget. With HP Compaq at your disposal, you will be able to work on your projects with seamless transition between the open tabs, while such integrated features like the HD web camera and microphone will provide high-quality image and sound for video chats and conferences. 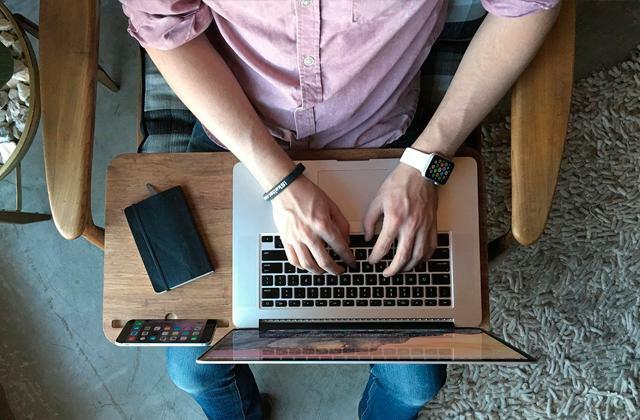 What Is a Business Laptop? Unlike gaming and regular notebook models, business laptops are designed to be powerful and light at the same time. Since you will carry the device with you a lot, being lightweight is a crucial aspect of a good portable PC for working remotely. 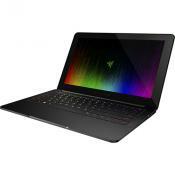 Most of the time, producers make compromises in order to decrease the overall weight of the laptops and that can result in slightly worse performance when compared to their counterparts designed for gaming. 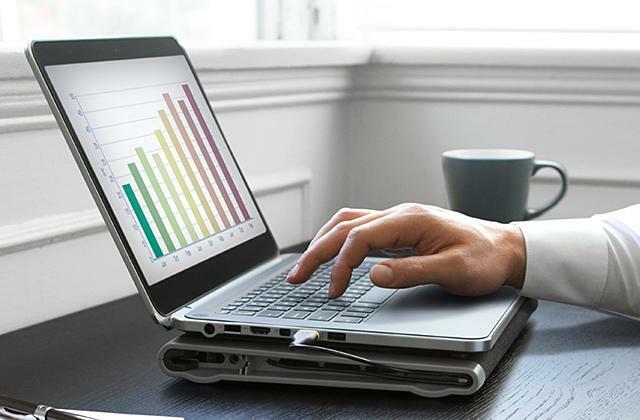 The main distinctive feature of business laptops is their high performance, compared to their relatively moderate price. 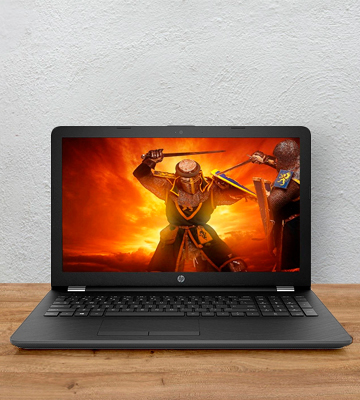 While being extremely lightweight, they are equipped with relatively modern mobile CPU and GPU models that result in great efficiency and low power consumption while letting you get the most graphics horsepower out of your system. While there are a lot of different business class notebooks out there, it is important to determine which features are important to you. So, we encourage you to take a look at our top picks to figure out exactly what you need! Alternatively, if you are opting for a good, stationary model you can take a look at our best gaming PC reviews. Likewise, if you prefer devices that are more compact but that can still perform well don’t hesitate to pick a top gaming laptop instead. 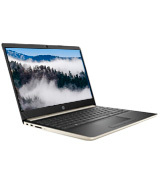 Even though there are quite a few different aspects that make a good laptop it is important to separate the features that are important specifically when choosing a business class model. 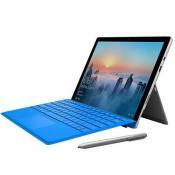 This is, perhaps, the most crucial aspect of almost any mobile device, and business laptops are not an exception to the rule. To put it simply, we recommend choosing models with mobile processors with a clock rate of 3.0 GHz or higher. It would be great if the laptop of your choice features an overclocking feature (a CPU Turbo-Boost), which allows for increasing the CPU speed. In addition to the CPU, we also suggest looking for laptops with RAM amounts of 6 GB or higher, if you want a true, multitasking device. A true business class notebook should be light but it shouldn't always lead to compromises in terms of performance or housing materials. The light weight offers a lot of possibilities for entrepreneurs. 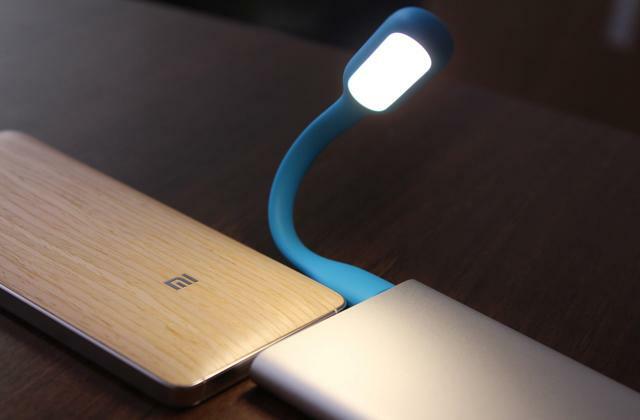 The most obvious one is improved portability of the device. No doubt it is easier to carry a 4-pound device than an 8- or 9-pound gaming monster with two GPUs onboard. This is also applicable for various types of transportation since most transport and air companies often have a weight limit on luggage that one passenger can carry with them. The next issue you should definitely consider is how big the screen of your laptop should be. The display size may vary drastically from one product to another but the main idea is that business models should be at least 13” - 14” big while models with 17” - 18” displays are more of a gimmick than something truly useful. What is more important than the size is, perhaps, the resolution of the screen. We definitely recommend opting for models that have a resolution of at least 1366 x 768 or higher. 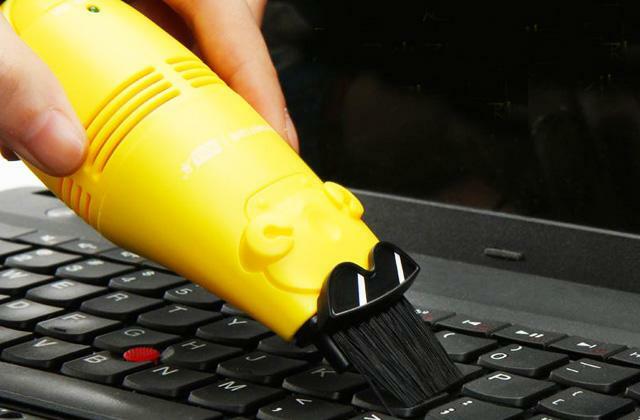 This will be important for users that might want to use their laptop with external screens or projectors. Most laptops made now have this resolution at a bare minimum, with many having higher resolutions, but it is important to pay attention to this regardless. The ability to modify your existing device when it is no longer considered a new one is surely important. One issue with laptops to be aware of, though - not all of them can be modified. There are several reasons for this, such as the incompatibility of newer hardware to work in conjunction with older mobile CPUs, little room inside the housing to install upgrades such as more RAM or a new SSD or HDD. However, if you pick a portable device that is quite powerful at launch and has modification capabilities you will set yourself for at least a couple of years, if not more. The larger number of ports the better is not really applicable here since more interfaces equal a greater overall weight. So, you should look for versatile options that include combination ports such as USB 3.0 (that supports devices that use USB 2.0 interfaces as well), HDMI (for connecting the laptop to an external monitor), as well as two-in-one 3.5 mm jack that can be used for both headsets and microphones. If you are not going to watch DVDs on your business laptop we recommend omitting models that feature a DVD-ROM and opting for digital media instead. Although there are still many users who prefer desktop PCs over laptops, especially when it comes to business-related areas, the number of people who opt for mobile computers grows every day. While desktop computers are usually more powerful and have a better price to performance ratio, they can’t be actually called a good solution for everyday usage. This is more apparent when it comes down to portability and the ability to use the platform on the go (or virtually at any place you might want to use the device). Despite being relatively underpowered compared to fully-fledged desktop computers, laptops are generally lighter and smaller in size. On top of that, laptops are generally 80% more energy efficient than desktop PCs, which results in overall better productivity. This is a crucial factor for a mobile device since you will definitely want to complete as many tasks as you can before the battery runs out. The smaller components of notebooks consume far less energy and don’t require a powerful cooling system for normal operation. 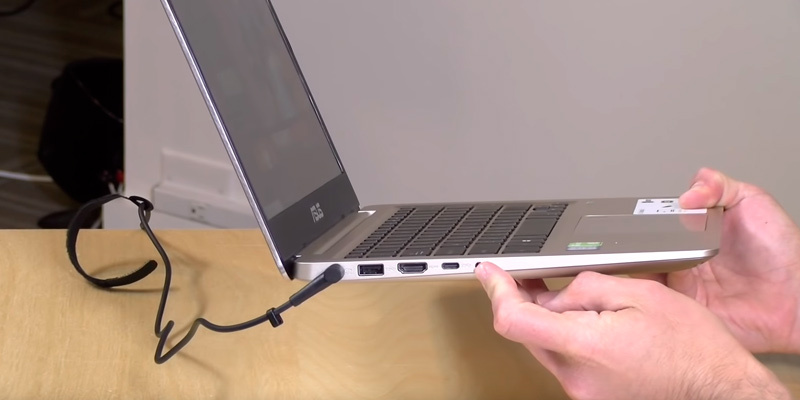 In addition to the small size, most laptop models can be connected to a bigger screen, monitor, or projector, which expands the usability and versatility of these portable computers. Just like PCs, many laptops can be upgraded and augmented to your liking. This includes adding more RAM sticks to improve the overall performance of the device. Additionally, you can always attach a new SSD or an HDD to the existing one to expand the data storage. The only real issue with laptop CPUs and GPUs is that you can’t actually upgrade them at your whim. The main reason for that is the fact that the majority of mobile CPUs and GPUs are built-in and more often than not - are not removable. 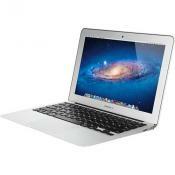 Other arguments may include the inability of laptops to work with the upgraded versions of the components. The main advantage of desktops is their price. While the prices of some top-of-the-line laptops can reach 1500-2000 of dollars, you can get a much better deal if you are opting for a regular PC with a monitor. It is a good solution as a stationary device for financial modelling, bookkeeping business and other types of work that require a high-performing device, but not so much as for working remotely. Business class laptops are extremely light, rugged, and constructed specifically to accommodate the needs of modern commerce. Yet they still have a solid punch under the housing. Today you can find high performing notebooks all across the board - both budget and premium models are equipped with top-notch CPUs and large amounts of RAM to boost the capabilities of their graphics cards. In the end, when it comes down to the question “What is better for office work a desktop or a laptop?”, there is no clear answer that will satisfy everyone. While desktops are undoubtedly powerful, they are not that ergonomic or easy to maintain. On the contrary, laptops are perfect all-rounders, yet they are not ideal for dealing with difficult tasks such as processing huge amounts of data or media files. With that in mind, you should figure out what you value the most - portability or performance and choose the product that suits you the most.